Australian Neo-Soul artist Mareshah showcases her sweet velvety tones and gospel influences in new single Pursuit, a soulful tune off her upcoming EP Unjaded. Drawn from Mareshah’s personal experiences exploring belief, Pursuit is about her humbling realisations that you don’t need to be perfect to be loved by God, nor do you need to be completely put-together to be worthy. 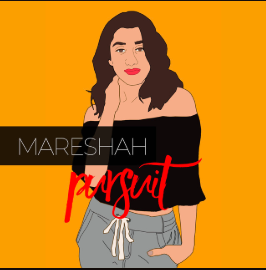 On the single Mareshah said, “Pursuit celebrates the freedom of knowing you may not have it all together but you are sought-after, valued and known”. Through her strong lyrical ability and demonstrated mastery of articulating the ‘subjective experience,’ Mareshah’s artistic delivery allows her to connect with her listeners to the point of cognitive convergence. In saying that, her music is beautifully relatable, which is achieved by acknowledging her flaws and taking ownership of her identity. Based in Melbourne, Mareshah’s musical inspiration comes from a richly diverse range of artists, many of which are outside of her own time. With 15 years experience in the music industry, playing Melbourne bars, clubs and stadiums alike, to lending her voice for televised sporting and music events - Mareshah is excited to take her own music to the next level. It goes without saying that her unique blend of fiery sass and velvety tones can be expected in her upcoming EP ‘Unjaded,’ which is slated for release later this year.